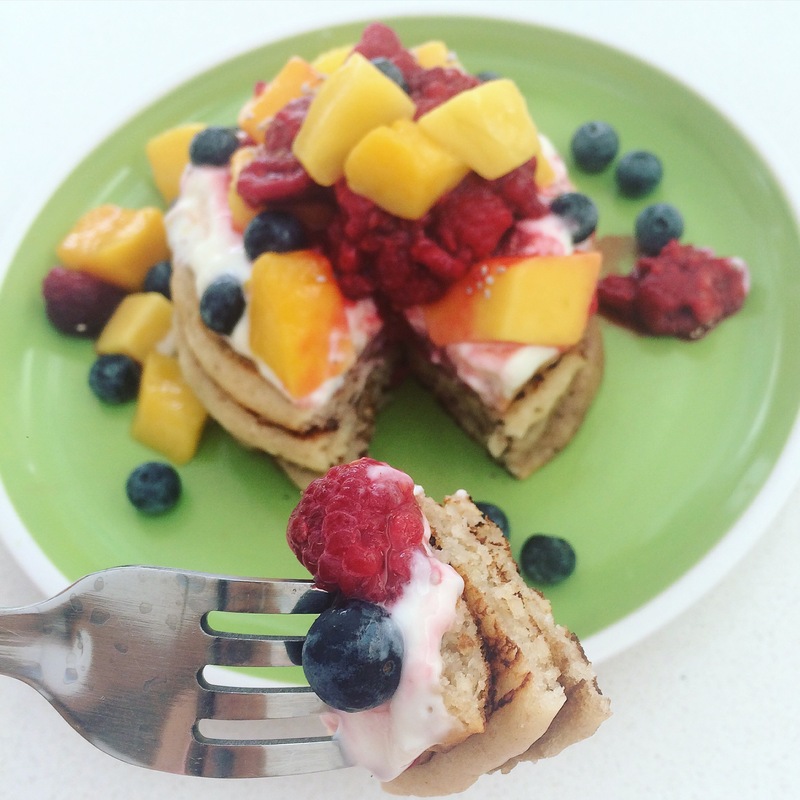 These simple pancakes are the perfect weekend brekky! 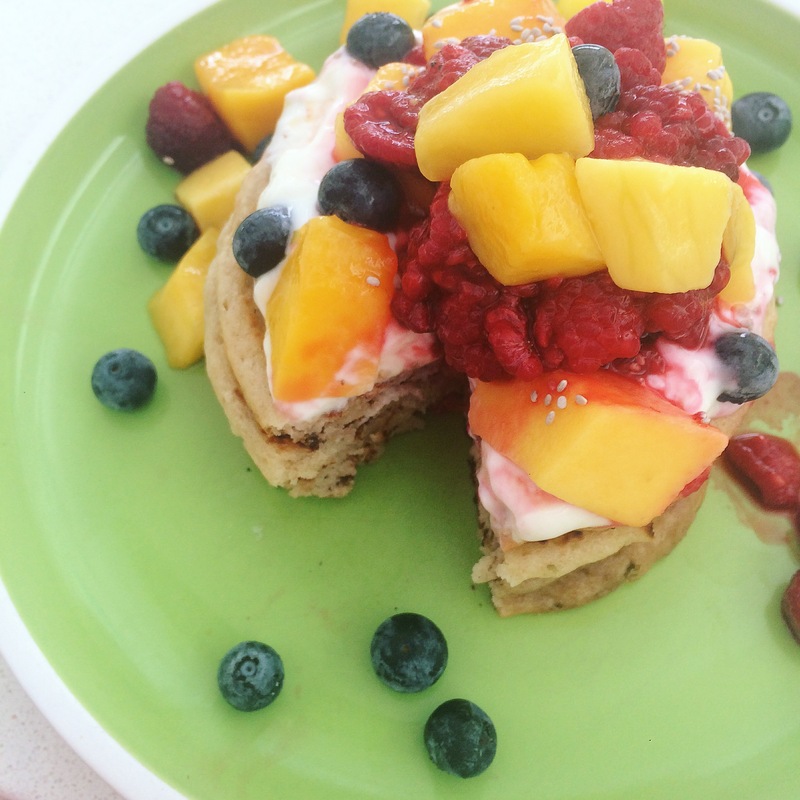 Top with seasonal fruit and greek yoghurt or lactose free yoghurt 😉 …. delish!! Mix all dry ingredients (flour, baking powder and salt) in a bowl. Make a well in the center and add remaining ingredients. Cook in a hot pan with coconut oil. I like pancakes that are approximately 1/4 cup in size. Flip when they have small air bubbles on one side. 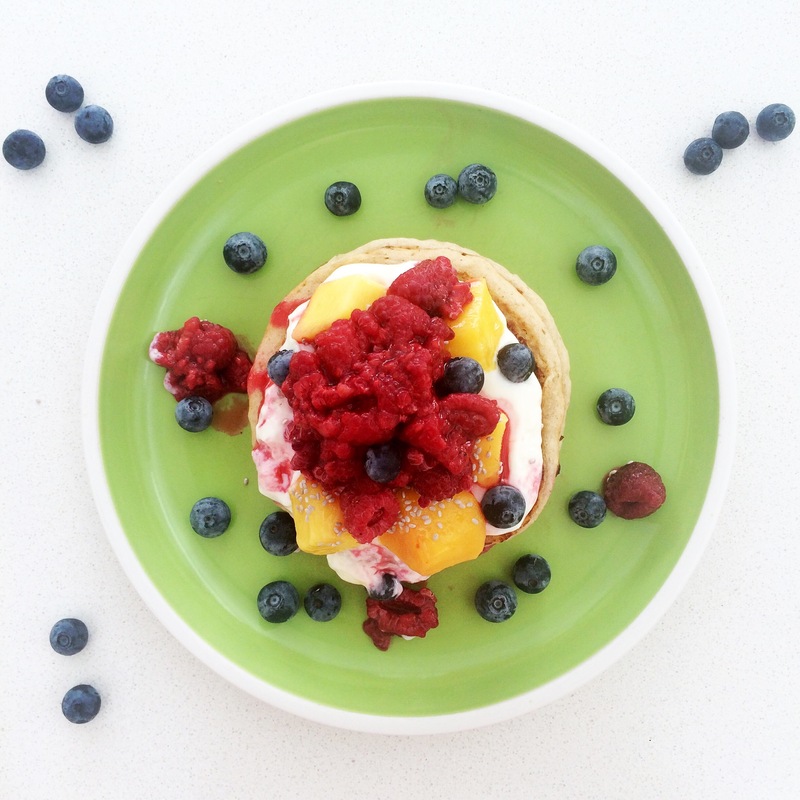 Serve with natural greek yoghurt and fruit! Spelt flour is not necessary (although it is better for you). Any milk can be used. To make a thinner consistency add more milk. Butter or olive oil can be used in the pan instead of coconut oil.